Priyanka is Back to Work in India after Spending Vacation with Nick! Finally, our desi girl is back to hit the Bollywood screens again. Priyanka Chopra is back in India to work after a long vacation with her boyfriend Nick Jonas. She is back in India to start prepping for her upcoming film ‘The Sky is Pink’. The film is directed by ‘Margarita with a Straw’ director Shonali Bose. ‘The Sky is Pink’ spins around Aisha Chaudhary, a motivational speaker with a history of immune deficiency order at the age of 13. 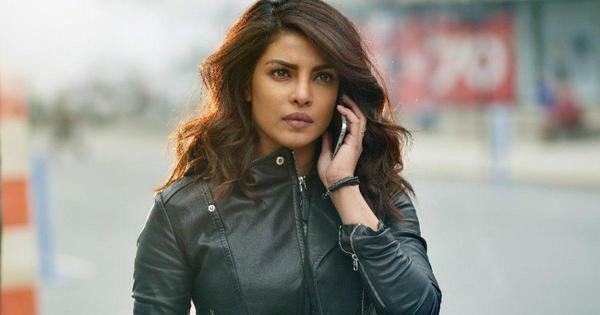 Sharing a post on her social media, the ‘Quantico’ star posted a photo of the script of the film, reading, “And it begins... #prep#hindimovie.” Priyanka will also soon start working on another Bollywood project with Salman Khan, titled ‘Bharat’. Directed by Ali Abbas Zafar, the movie will star Disha Patani, Sunil Grover, Shashank Arora and Tabu. Priyanka has wrapped up work on 'Quantico' and will be seen in a Bollywood film after a long time. Apart from giving her nod to ‘The Sky is Pink’ and ‘Bharat’, the actress is apparently reading scripts and will soon announce her other upcoming projects. We are thrilled to know that finally after a long wait Priyanka will be seen in a Bollywood movie. Are you excited? Priyanka Makes Hubby Jonas Dance to a Govinda Song! Priyanka and Nick Jonas' in Goa, Does all the family get-together indicate a possible engagement soon? Do You Like Priyanka's Long Trench Coat? 11 Month Baby, Alone 40 Feet Up In The Sky!